A Valorous TV exclusive, original, five-part docu-series. 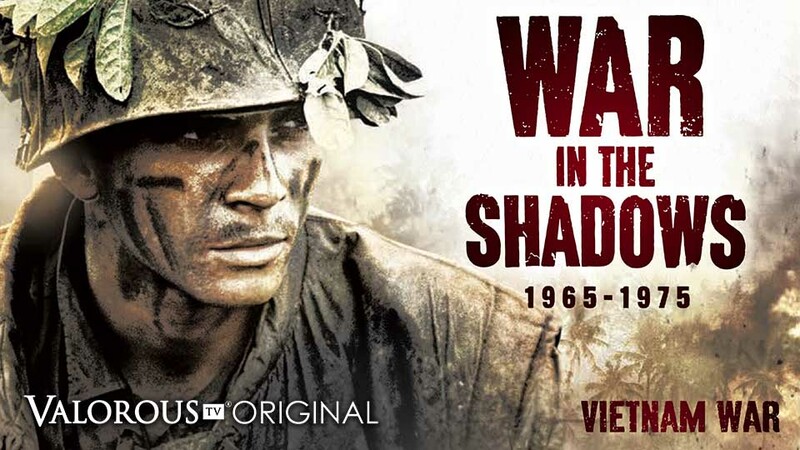 Through the use of recently declassified documents, veteran interviews and rare footage War in the Shadows offers a unique account of US special operations during the Vietnam War including psychological warfare operations and air and naval attacks against North Vietnam. Episode 1: A New Kind of Warrior – Military Assistance Advisory Group (MAAG) is a designation for American military advisers sent to other countries to assist in the training of conventional armed forces and facilitate military aid. Although numerous MAAG’s operated around the world throughout the 1940’s-1970’s, the most famous MAAG’s were those active in Southeast Asia before and during the Vietnam War. Typically, the personnel of MAAG’s were considered to be technical staff attached to, and enjoying the privileges of a US diplomatic mission in the country. The units fighting this secret war included an air wing and Mong tribesmen led by the Green Berets. Episode 2: LRRP – There were no other units in Vietnam like the LRRPs. In fact, you probably had to go back to the American Revolution and the Civil War to find small units fighting a guerrilla war in enemy territory. There were some people who figured out right away that to fight this enemy we needed to put small, highly mobile reaction forces on the ground. To this end, Colonel David Hackworth helped organize two volunteer platoons that they called Tiger Forces. These patrols consist of specially trained personnel capable of performing reconnaissance, surveillance and target acquisition within the dispatching unit’s area of interest. Their goals: Track ’em, find ’em, and kill ’em. There were only thirteen independently operating LRRP (later Ranger) units in the whole country. There was no central command and control structure; they were only responsible to whatever command issued their orders. Episode 3: Devils With Green Faces – In 1962, President Kennedy established SEAL Teams One and Two from the existing UDT Teams to develop a Navy Unconventional Warfare capability. The Navy SEAL Teams were designed as the maritime counterpart to the Army Special Forces “Green Berets.” They deployed immediately to Vietnam to operate in the deltas and thousands of rivers and canals in Vietnam and effectively disrupted the enemy’s maritime lines of communication. The SEAL Teams’ mission was to conduct counter-guerrilla warfare and clandestine maritime operations. Initially, SEALs advised and trained Vietnamese forces, such as the LDNN (Vietnamese SEALs). Later in the war, SEALs conducted nighttime Direct Action missions such as ambushes and raids to capture prisoners of high intelligence value. The SEALs were so effective that the enemy named them, “the men with the green faces.” At the war’s height, eight SEAL platoons were in Vietnam on a continuing rotational basis. The last SEAL platoon departed Vietnam in 1971 and the last SEAL adviser in 1973. Episode 4: Phoenix and SOG – The Phoenix Program was designed to identify and neutralize the infrastructure of the National Liberation Front of Vietnam. By 1972, Phoenix operatives had neutralized 81,740 suspected NLF operatives, informants and supporters, of whom between 26,000 and 41,000 were killed. The Studies and Observation Group was the largest project of its kind and its personnel was engaged in all aspects of the war. It had its critics, military and civilian, who felt its people were “undisciplined, wild-eyed Army Special Forces people”…who believed that the whole of Southeast Asia could be conquered by a handful of Green Berets. Episode 5: The Last Run – This is the story of the last years of American involvement in Vietnam, 1973-1975, and the fall of Saigon. 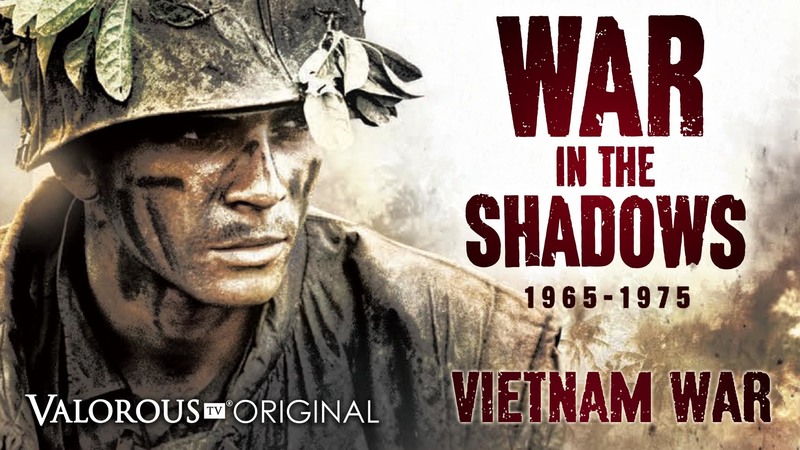 This episode also includes a detailed account of the little known Operation Lam Son 719.